The Chroma Key Color Transition used for Green or Blue Screen techniques can be used to create amazing illusions. You may never have visited the Taj Mahal or the Pyramids of Egypt but with this technique you can at least make it look like you did. 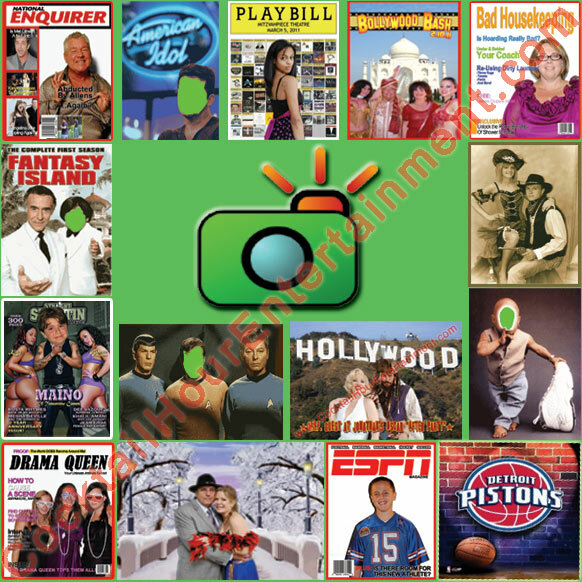 Your guests photo is shot in front of a solid green or blue screen. We remove this color from the actual photo (or video clip), fill in the empty space with the picture or design of their choice, print it out with our commercial grade printers, and then place their photo in a personalized frame.